ASHGABAT -- Recent reports of Turkmen migrant workers seeking opportunities in Turkey but falling victim to crime and militant recruiters are causing concern among their compatriots and officials back home. The precise number of Turkmens working and living in Turkey is not known, but Turkmen officials acknowledge it to be vast. The Turkmen government does not comment on the matter officially. "If we add them up, Turkey alone will have at least 300,000 people from Turkmenistan," a Turkmen State Migration Service employee who used the alias Agadurdy told Caravanserai. Turkmen migrants themselves speak of a similar figure. 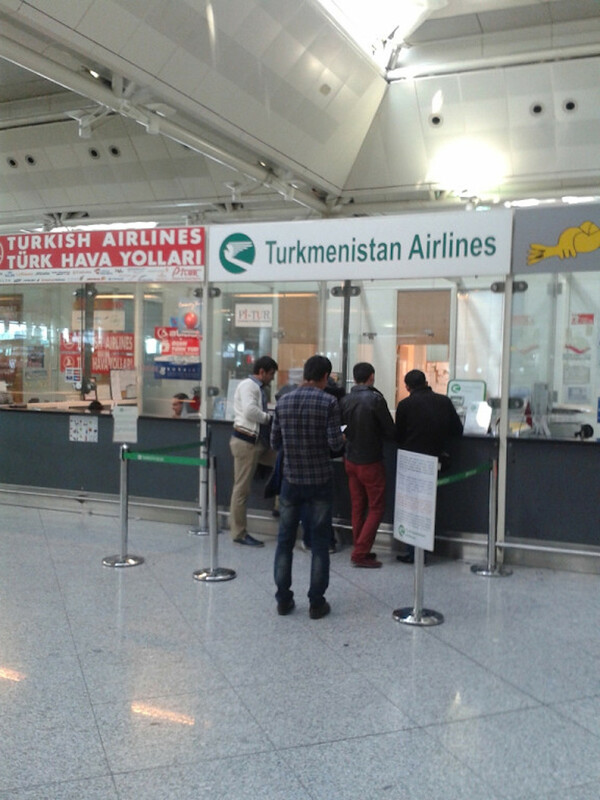 Various reasons drive Turkmens to make the arduous trip to a foreign land. "It is chiefly residents from Lebap and Dashoguz provinces who couldn't find work in their own country or couldn't get into a Turkmen university," Agadurdy said. "Turkmen citizens don't need an entry visa for Turkey," he said. "They can work there for six months, but when that period expires ... the majority of [them] prefer to stay there." Meanwhile, Turkmen migrants frequently figure in Turkish crime news, sometimes as victims and sometimes as perpetrators, much to the distress of compatriots back home. In late October, Turkish TV reported the rescue of two young Turkmen women who had disappeared in Turkey and had been forced into prostitution, according to Alternative News of Turkmenistan. In November in Istanbul, security forces rounded up 36 Central Asian nationals accused of involvement in the "Islamic State of Iraq and the Levant" (ISIL) and of conspiracy to go fight in Syria, according to Radio Free Europe/Radio Liberty (RFE/RL)'s Turkmen service. The detainees included some Turkmen nationals. In early December, again in Istanbul, Turkish police arrested a group of Turkmens in connection with charges of drug trafficking. The Turkmens had 50kg of hashish and 350g of heroin in their possession, Turkish police said, according to Hurriyet Daily News. Such media reports are concerning to Turkmenistan's leadership. "I'm certain that the government is strongly concerned about what is befalling some Turkmen citizens in Turkey," Ashgabat journalist Annaberdy Orazdurdyyev, who has past experience working with government agencies, told Caravanserai. Turkmen officials fear that Turkmen migrants might become hardened criminals or extremists and bring back dangerous habits to Turkmenistan, he said. But Atamyrat Abayev, a Dashoguz native who has lived in Turkey since the 1990s, says most Turkmen migrant workers work hard and honestly, and only a small portion join militant and crime rings. Lack of opportunity in Turkmenistan drives young people to try to find work in Turkey, he told Caravanserai by phone. "Manual labourers here can earn up to US $700 [2,448.1 TMT] per month," he said. "Female care-givers can make US $900 [3,147.6 TMT] per month." The Turkmens who lapse into militancy or crime are those who develop an unquenchable appetite for easy money, Abayev said. "Some of my compatriots are ready to do anything ... for a lot of money," he said. He recalled a Turkmen named Sapar who fell for militant blandishments and might have met a tragic end. Sapar believed the promises made by an ISIL recruiter, took an oath of allegiance to the terrorist group and went to Iraq, Abayev said. "At first he said everything was good," Abayev said. "Then he disappeared." Turkmen officials are hoping to resolve the situation with the help of their Turkish colleagues. Reportedly, a number of officials from the Turkmen Interior and National Security ministries flew to Turkey in late October to confer about Turkmen migrant workers who intend to join militants in Syria. A Caravanserai source working at immigration control in Ashgabat International Airport confirmed the information, saying that "more than 10 [agents] departed". However, some observers question whether such efforts will be successful. Having 10 intelligence officers go to Turkey is far too small an effort, said Orazdurdyyev the journalist, given the thousands of Turkmens living in Turkey. Not only that, crackdowns will deter Turkmens in Turkey from ever going home, he said. Illegal migrants know that "if they are deported from Turkey, heavy fines, confiscation of their earnings and prohibition from leaving Turkmenistan for five years" await them, he said. Agadurdy, the Migration Service official, suggested a more humane strategy than one of punishment and crackdowns -- perhaps even amnesty for tens of thousands of homesick Turkmens. "The fear of reprisal holds some back [from returning home]," he said. "It forces them in a foreign land to search for a way out." "The government shouldn't ... pave the way for them to fall into the clutches of criminal and extremist groups," he said. 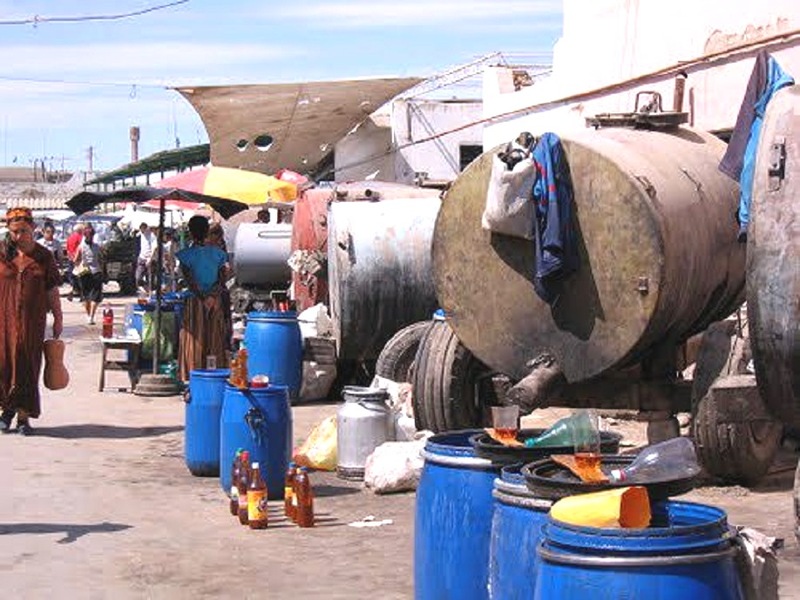 Some Turkmen migrant workers abroad have turned into militants, Turkmen authorities suspect. Authorities fear the potential for radicalisation of migrant workers who gradually lose touch with their homeland.